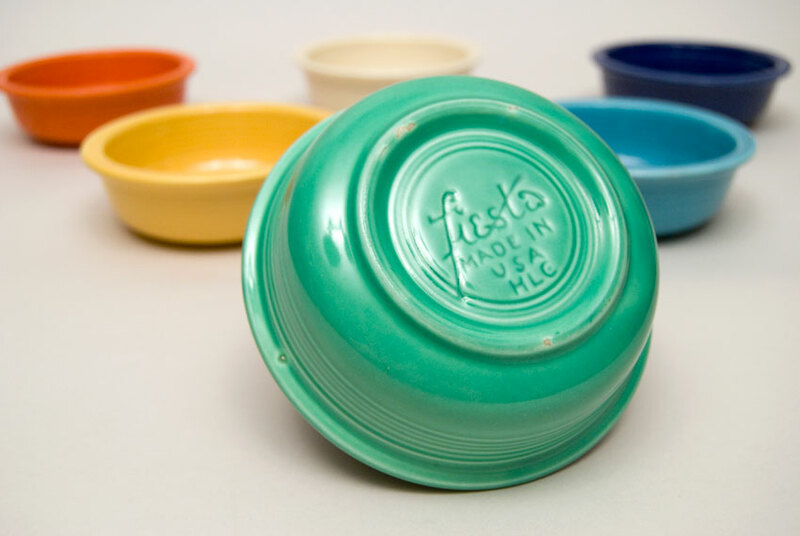 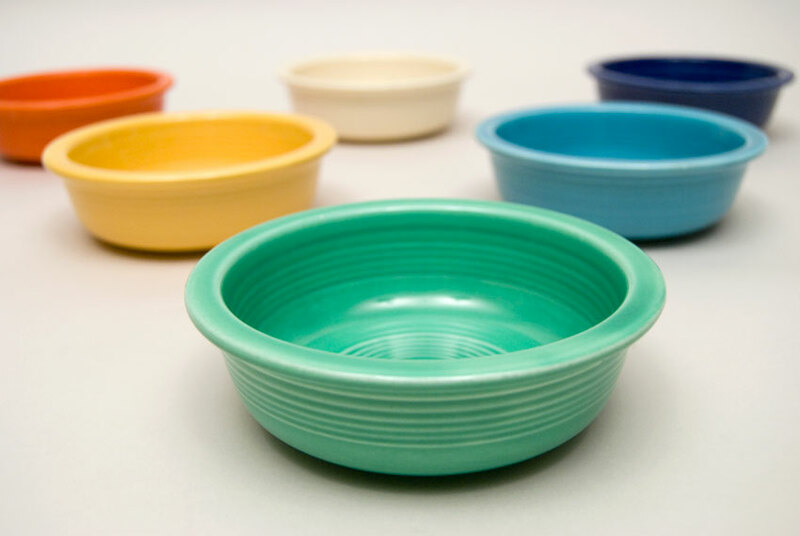 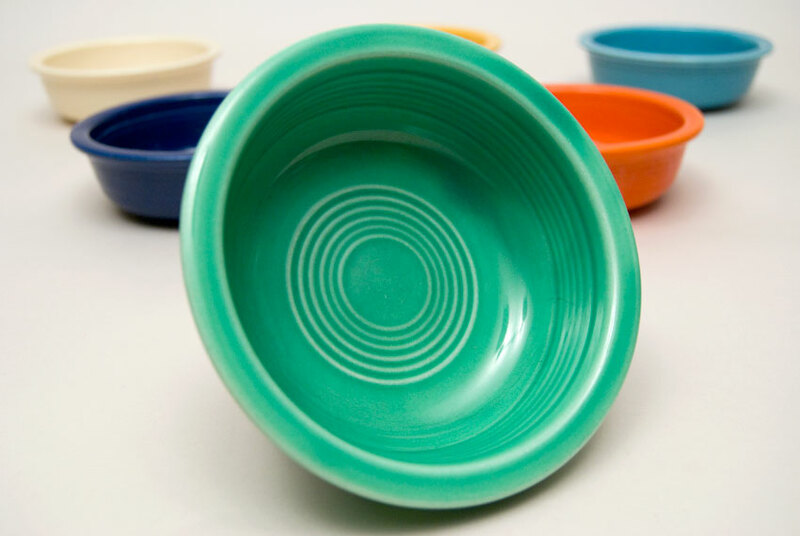 Circa 1938-1951: The 4 3/4" Fiesta fruit bowl was part of the original line and was designed as a berry bowl to hold a smaller portion. 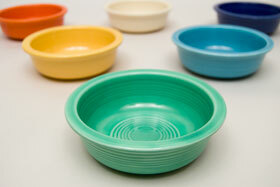 Each bowl was hand jiggered after coming out of the slipcast mold. Concentric rings will vary because of this. 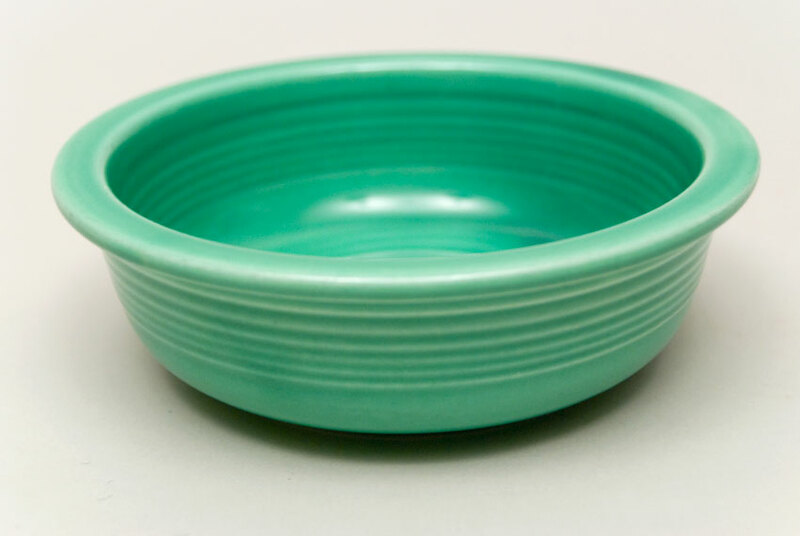 Earlier versions, like this one in original green, were fully glazed, with the in-mold mark on the bottom. 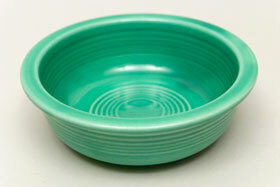 This example in the original light green boasts a smooth, scratch free inside, full of concentric rings. Measures 4 13/16" w x 1 19/16" h.